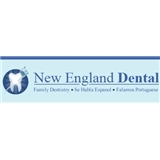 New England Dental LLC (Danbury) - Book Appointment Online! New England Dental has a winning team of specialists, general dentists and experienced laboratory technicians working closely with each other to provide beautiful lasting smiles for our patients. The office is equipped with the most advanced technology available today. By having extended hour of operation, our patients no longer need to take time off from work or juggle family commitments around dental appointments. You can feel confident bringing your entire family to us when it's convenient for you.